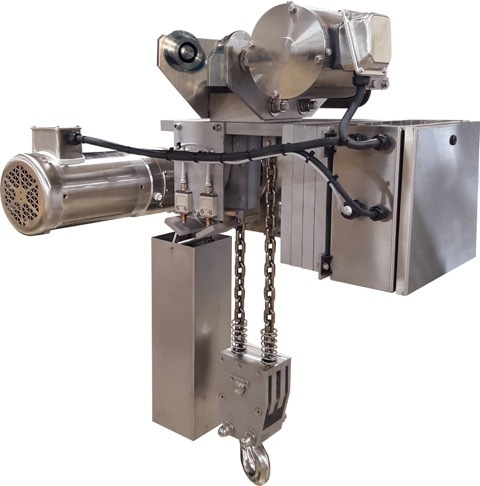 The David Round Company manufactures stainless steel versions of its high quality hoists that are durable and reliable, especially effective in food preparation, pharmaceutical, and cleanroom applications. 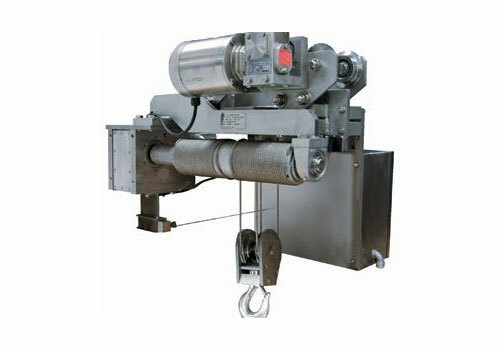 Types of stainless steel hoists include chain hoists, wire rope hoists, and strap hoists. If you have clearance issues, this is not a problem. We can engineer a low headroom hoist to accommodate those limitations. If cleanliness is not your reason for stainless, we can discuss different options. 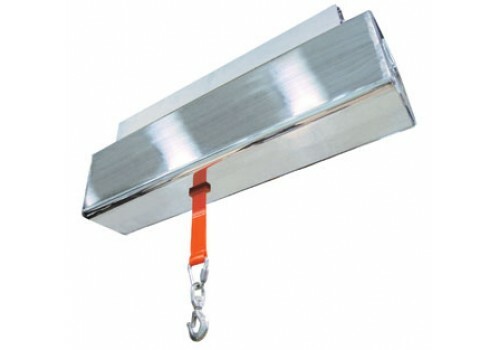 Such as explosion-proof components or maybe a “hybrid” hoist. Just tell your sales representative the application and we will work with our own engineers in finding you the most efficient and cost effective solution.